Which Is The Best Grass For My Lawn? If your lawn isn’t growing well, you may need a different type of grass. Certain grasses grow better in shade, sun or sandy soil. 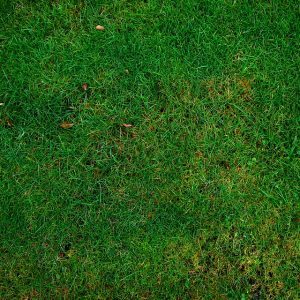 Follow these tips to find the best grass for your North Texas lawn. The best grass option for heavily shaded yards is zoysia. It is fairly hardy, resistant to bugs, disease and shade. However, it will turn brown as soon as the mercury drops. Zoysia grows slowly and needs little maintenance, so it is a good option for shaded lawns. If you don’t want to struggle with patchy grass beneath your trees, consider a colorful flower bed, groundcover or stylish landscaping instead! If you have an especially sandy soil, St. Augustine grass may work best for your lawn. A thick-bladed variety, it thrives with lots of sun and water. It does not grow well in shaded areas, but there are shade-tolerant varieties available. While St Augustine is one of the most affordable varieties, its upkeep can be be costly. It can also be prone to disease. Buffalo grass is ideal for North Texas lawns. Native to the area, it needs very little watering once it is established. With its deep roots, it can survive with just an inch or two of rain each month. You don’t have to worry about fertilizing it either! Still have questions? Call one of our expert lawn care specialists today at 817-396-0125 and we can help you design the perfect lawn. Posted in Uncategorized on August 16, 2016 at 7:14 pm by MDM Landscapes.